It has been a while – again. A lot is going on in our lives and not as much is going on with Nifty but we’re still at it! We had a short meeting to plan the things we want to will implement next year. In other news: we have been rewriting/restructuring our particle system (it wasn’t much of a system anyway). The resulting system is much easier on the hardware thanks to fewer OpenGL calls. 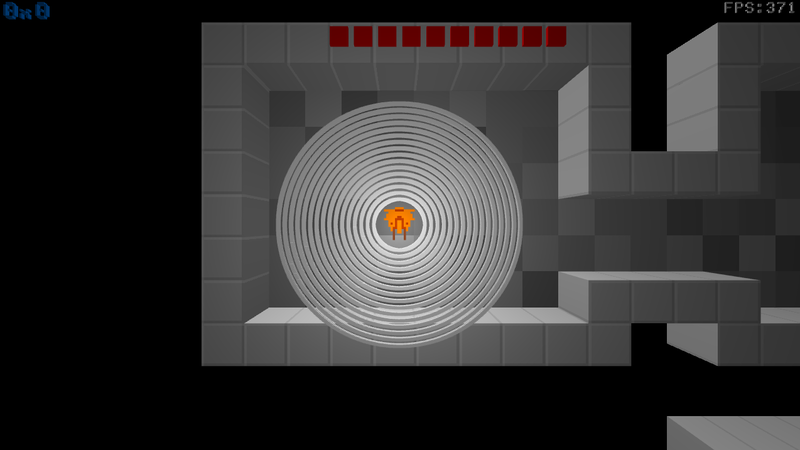 Below is a small screenshot of 8192 (three dimensional) particles orbiting around the player at over 350 frames per second. This entry was posted in Uncategorized by dragbone. Bookmark the permalink.